The Canary Islands are a chain of a dozen or so volcanic islands in the Atlantic Ocean, starting 100 km west of Morocco. The name means Islands of the dogs, after the aboriginal Guanche people that seem to have worshipped dogs. The islands were created above the Canary Hotspot under the Atlantic Plate. This tectonic plate slowly moves the islands away from the hotspot in an northeasterly direction. El Hierro and La Palma still sit on the hotspot and hence show volcanic activity that might cause a devastating megatsunami in the Atlantic Ocean. Since 1494 the Canary Islands are part of Spain and even Admiral Nelson could not change that. He lost his right arm in trying. 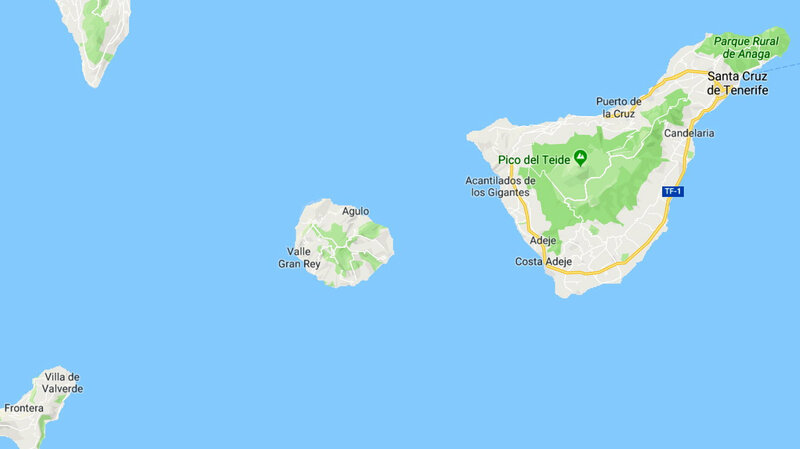 <?xml:namespace prefix = "o" ns = "urn:schemas-microsoft-com:office:office" />Tenerife is the largest island of the archipelago and thanks to the year-round nice weather its beaches attract millions of visitors. Away from the crowded beaches and busy tourist centers, the Teide National Park is well worth a visit. El Teide is the main volcano here and it's top peaks at 3718 m, the highest point in all of Spain. In winter and early spring El Teide occasionally covers itself in fresh snow. Most of Tenerife's towns and villages are located near the coast on the main route TF-1. Another worthwhile trip is a visit to La Gomera, a small nearby island that is less touristic and even sports rain forests, often covered in fog and clouds.